Afia Tours is a Ghanaian owned Ecotourism Company in Ghana. We want you to experience the real Ghana, while helping us to support the development of local community life. In addition to showing you the historic sites, culture and great nature of Ghana, a visit in the home village of our founder Enock will be the highlight of many tours we offer. the development of a typical Ghanaian village located close to Cape Coast. On our Eco Tours, we will give you a taste of the real life in Ghana, like eating the local dish “Fufu”, enjoying live music in the evening or buying fresh fruits at the busy markets in Accra. You can choose from our standard Ghana Tour Packages or ask us for an individualized tour adapted to your interest, time and budget. Enock Amoako, the founder of Afia Tours, has been working with an established Ghanaian Tour company in Ghana before deciding to open his own business. 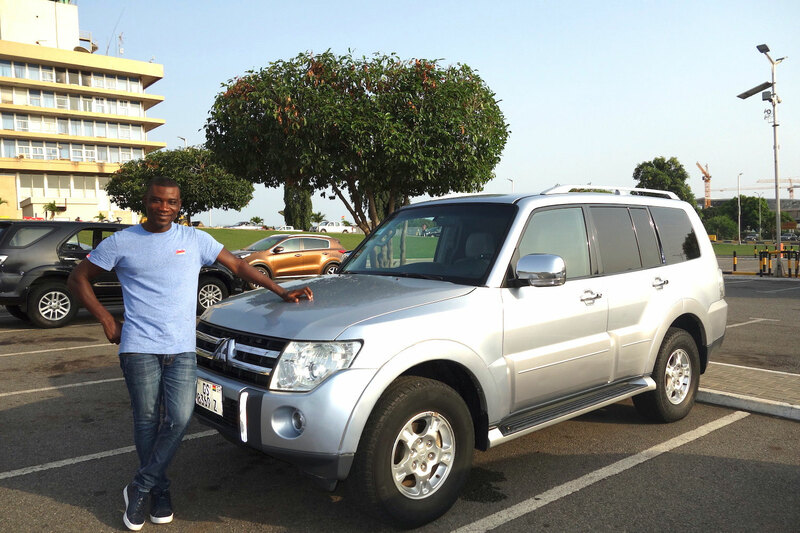 Michael, our Senior Tour Guide, grew up with Enock and gained broad experience as a driver and guide in Ghana before joining Afia Tours. 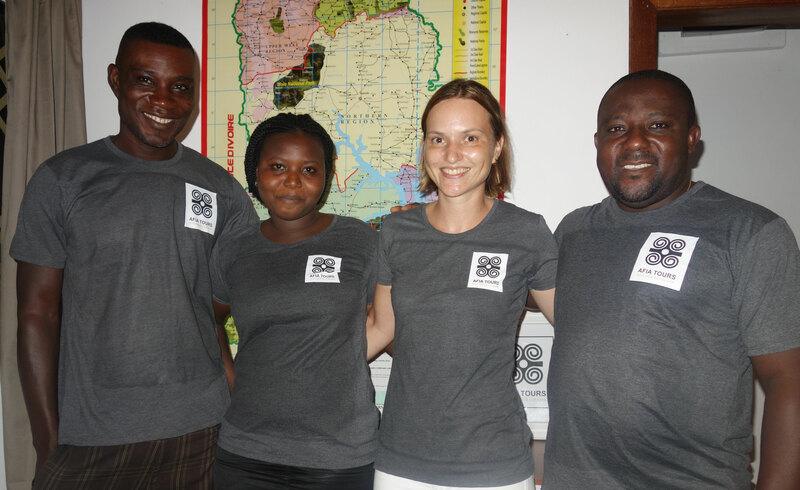 Our team of experienced tour guides will make sure that your time in Ghana exceeds your expectations, and take care of all your wishes during the tour. in Sales and Marketing in Germany and Ghana. After meeting Enock she became the office manager of Afia Tours. Enock´s sister, Sarah, is a university student in Ghana and supports Afia Tours as an intern. For your perfect holiday in Ghana you can choose from our standard Ghana Eco Tour packages or ask us for an individualized tour adapted to your interest, time and budget. We offer multiple day tours or 1-2 day trips to all Ecotourism destinations in Ghana, perfect for a weekend trip. In addition to showing you the historic sites, culture and great nature of Ghana, a visit to our village project will be a highlight. If you are interested and a little flexible, we also offer single travelers to join a small group tour or bus tour, if available. For all students or volunteers in Ghana we also offer special discounts on all tour packages.